Hørbyebreen northwest of Petuniabukta. 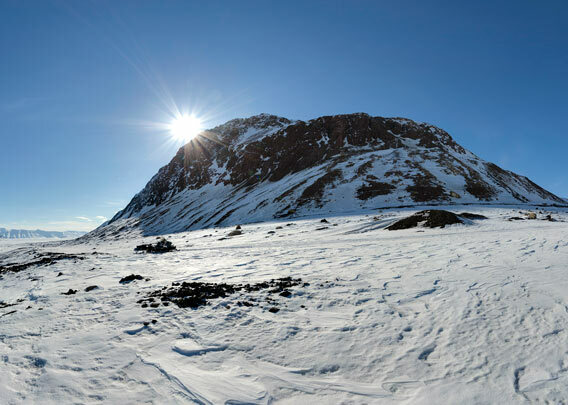 The mountains there are amongst the most beautiful ones in Spitsbergen, including the giant stone spider Tarantellen. Geologically, the area is also very interesting: the Billefjorden Fault Zone, an important set of now inactive geological „cracks“, is well visible there. 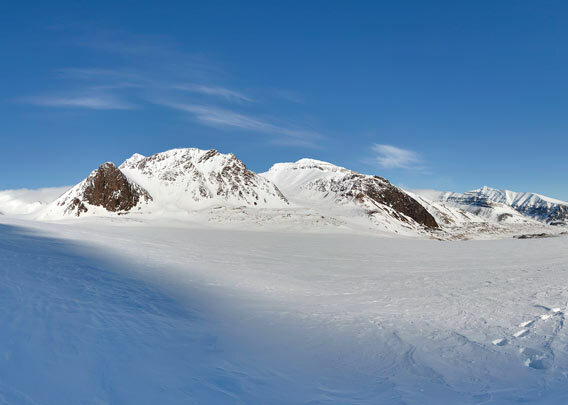 In the winter season, Hørbyebreen is part of the overland route to Dicksonfjord and Ny-Ålesund or Woodfjord, in summer it is a possible trekking route to Ålandsvatnet and Austfjord.